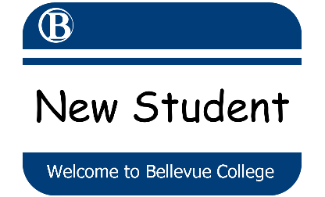 New Student Orientations are 2 hours and designed to introduce students to Bellevue College while assisting with registering for first quarter classes. The information covered includes: campus resources, career resources, leadership opportunities, cultural enrichment services, and out of the classroom type of learning experiences available at Bellevue College. The final hour consist of meeting with advisors to discuss class options and academic planning. You must obtain your Math and English placement, or prerequisite verification, before attending a New Student Orientation. Get your placement assessment done to get into classes. Please visit our website at Math and English Placement or request the Prerequisite Check and include the appropriate documents. You must create your NetID. Your email and ability to log into our computers requires this step to be completed. Please visit our website to Create your BC email account (NetID) for details on how to achieve this. Please note: Many classes have a prerequisite or assessment requirement to get into the class. Confirming your session: After you sign up for a session, you will receive a confirmation email with parking information. If you are not seeing this email, please make sure you are checking your junk/SPAM folder.